Join us on Tuesday April 1st at the Wayne County Public Library in Wooster for a once in a lifetime opportunity to hear Gene Salecker present two speeches on the disaster of the SS Sultana. 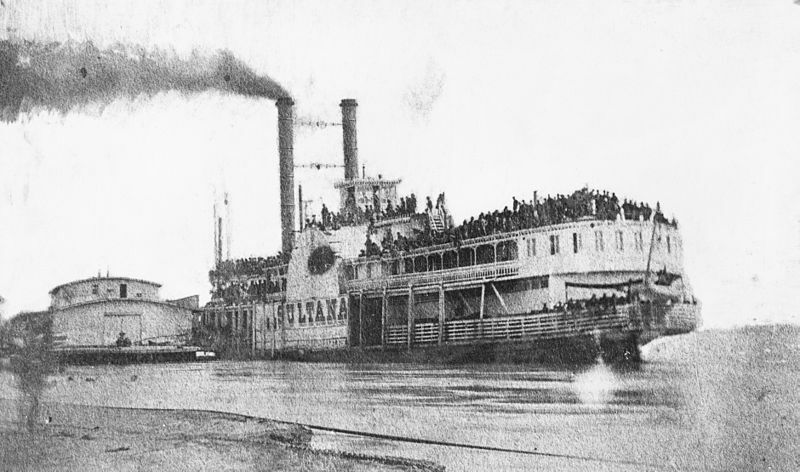 Author of “Disaster on the Mississippi”, Salecker is the foremost authority of the April 27, 1865 explosion of the side-wheel steamboat. An estimated 1,800 passengers died in this “greatest maritime disaster in Untied States history.” The Wayne County Public Library is partnering with the Wayne County Civil War Roundtable and the Holmes County Civil War Roundtable to bring Chicago author Gene Salecker to Wooster. This program, located at 220 West Liberty Street, Wooster, is open to the public and will start at 3:00pm and 6:30pm. About Author Gene Slacker:Born and raised in Chicago, Gene has served as a police officer at Northeastern University for over 20 years. He has authored many books regarding United Stated Military history, but his first book was Disaster on the Mississippi: The Sultana Explosion, April 27, 1875. Gene believes that the story of the SS Sultana deserves a better fate than to be lost forever and is passionate about its story living on in the future. I am extremely disappointed to have to miss Mr. Slacker’s presentation. My great-great uncle Philip Horn, a Wooster native, was one of the final Wooster area Sultana survivors. I have read most printed items on this great American disaster that has unfortunately been overlooked in our country’s history. I hope someday a major film is produced to honor and pay tribute to this epic maritime story.